IRIS has partnered with Jaberi Dance Theatre and Dr. Shahrzad Mojab on the company’s upcoming production No Woman’s Land, an evocative new work that explores real stories of women in refugee camps. 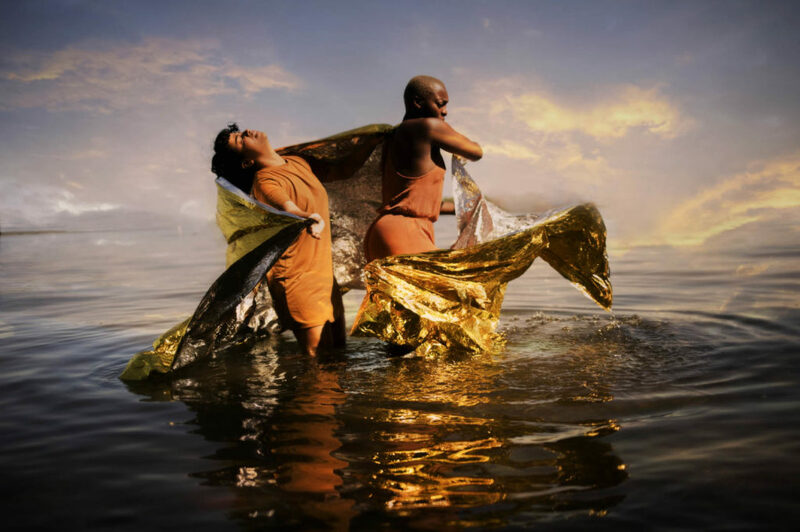 Conceived and directed by Roshanak Jaberi and created with a powerhouse artistic team and an ensemble of seven performers, this interdisciplinary production integrates dance, theatre and multi-media – taking audiences on a journey that reveals the plight and resistance of refugee women. The project is based on research conducted by Doris Rajan, Director of Social Development at IRIS, and Dr. Shahrzad Mojab. 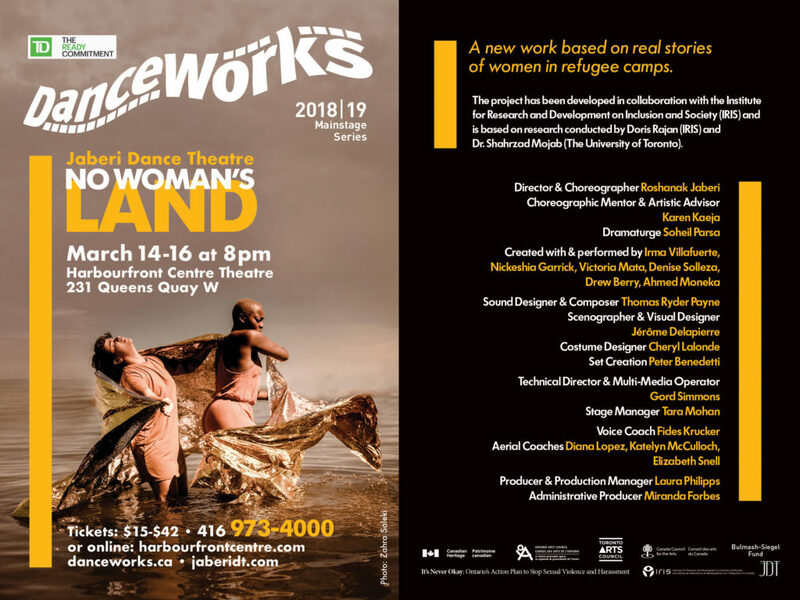 No Woman’s Land will premiere in Peterborough March 9-10, 2019 at Market Hall Theatre and in Toronto March 14-16, 2019 at the Harbourfront Centre Theatre. For more information visit jaberidt.com.